Just right for your favorite ice-cold brew, our Icon Pint Glass set provides you with a variety of options for design and personalization. 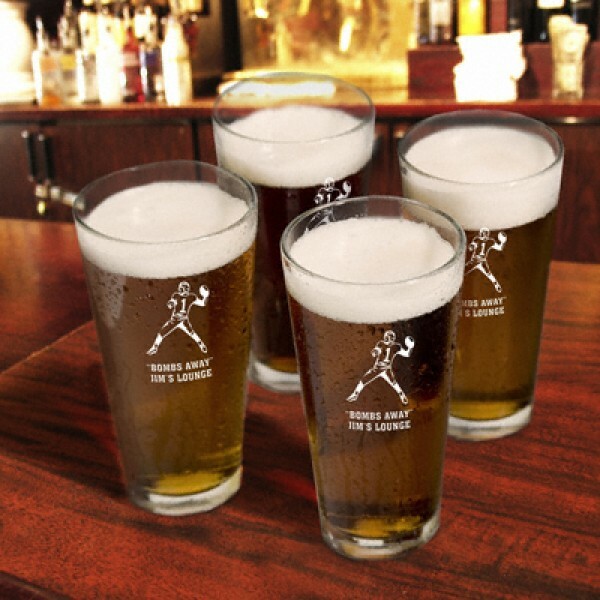 Choose from our detailed images of that favorite recreational pastime for this attractive set of four pint-sized glasses. Pastime designs also include room for your creative personalization. Select icon and ink color.